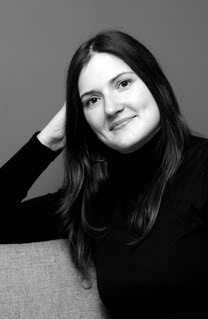 You can find out more about Anne on her blog or follow her on Twitter or Facebook. 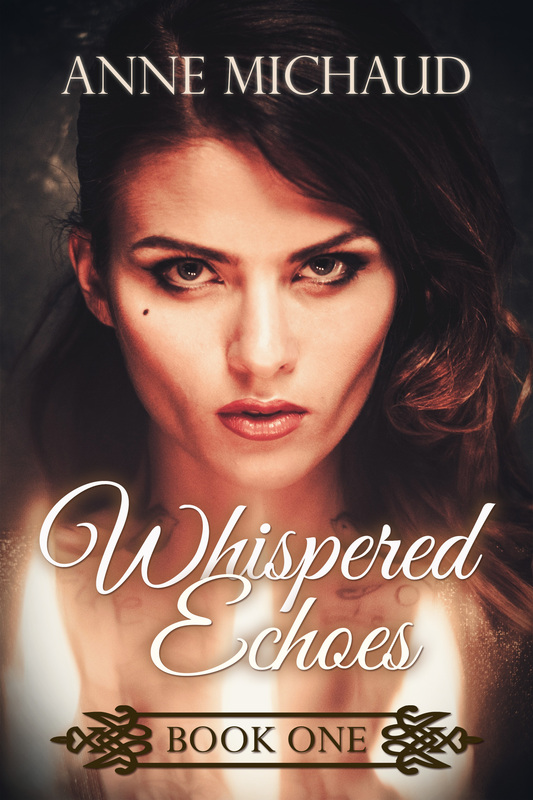 You can purchase Whispered Echoes (and the rest of the series) on Amazon. 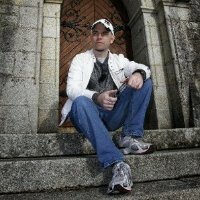 My name is Mark Knight, London-based, American-born author of paranormal fiction and urban fantasy for Young Adults and anyone of any age who wants to come along for the ride. I have four novels that I will be releasing in 2013. Vampires, the undead, angels, psychic humans – all covered. But I tackle it my way. Realistic characters, real emotions. Well, I grew up in America, living everywhere from California to Boston, son of an Irish father and a British mother who had immigrated to the US shortly before I was born. It was while I was still a young teenager living in Massachusetts that I discovered that I wanted to write, because I loved strange tales, be it science fiction, ghost stories, or horror. I started with short stories, then novels. Of course, those early ones were dire. But I knew I wanted to be a published author one day. Our family moved to Ireland where I finished school and also completed my first novel, a space adventure. In the early 80s I moved to the UK. Since then, I have been writing novels, screenplays, and the occasional short story. Now I concentrate mostly on Young Adult urban fantasy, which I found to be the most fun to write. That is actually a difficult one, because anything can inspire me to write. It could be a film, or book, or an idea. Or I could be just walking along and my mind goes travelling and next thing I know I have a sequence of events that could be a plot. Dreams often inspire me, as with that very first attempt at writing I spoke of in the last question. I guess the real answer is that life inspires me. Been writing since early teens. In my 40s now so…gulp…quite a long time! Always knew I wanted to be published, but never knew what a circuitous journey it would be. But, over the years, I had things accepted. First, a comic strip. Then a short story. Then, more short stories. And also a couple of things which I scripted for British television. As to what made me decide to write, I think it was my love of stories and my desire to make my own, to make my own world and characters. I grew up in America and in the 6th or 7th grade we were given a short story to read in class – about a vampire, as it happened! I thought, ‘I can do this; it can’t be much more difficult than figuring out a comic strip’. I drew a lot of comic strips in those days. I wrote my first short story but it was more like a mini novel, with chapters. It was Sci-Fi, about telepathy – only about 20 pages long, but it was so satisfying. I knew then what I wanted to do. I always see myself in my characters; they are all facets of myself, especially the main character. I guess, in a way, you are living vicariously through them. There are things which you fantasize about, powers you would have. But ultimately you end up creating avatars of yourself where you throw obstacles at them and see how they—you—overcome them. It is very therapeutic. Isn’t there some weird theory that says that we are all characters that someone else is writing about? That would explain a lot of the obstacles in our lives! I have actually written quite a bit of the next book in the Daniel Dark series, which is entitled Full Blooded. It takes place not long after the events of Blood Family. Of course, its release depends on how well the first book does. But as I write this, preview copies have gone out and the feedback has surpassed all my expectations. I am really quite gobsmacked by the positive response I am getting – which just blows my mind. I am so glad people seem to like it. I am aiming at writing full-time, because I really do need the whole day to write, blog, promote and research! As it happens I write for a living, though in a very commercial sense – it is for a marketing company so some of what I learn I employ in my promotion of my books. But writing novels is really the only thing I want to do. I have been writing since I was in my very early teens. I started with short stories, and then tried my hands at novels. I was 16 when I tried my first novel – a Star Wars sequel! Gosh, it was terrible. I think, really, I wanted to make my own Star Wars movie; I couldn’t really do that at 16, but I could write one down. My mother urged me to write original stories, and told me of an author she had read an interview with, who gave the simple advice ‘don’t never give up!’. That deliberate double negative has stayed with me. As for worst advice, I can’t say I have had any bad advice, as I believe that every choice you make is actually neither a right or wrong one – because it is about how you adapt to whatever happens, what you make of it. I love the fire and enthusiasm you get when you hit upon a new idea. For me, it has to be a storyline that gets me excited as to where it could go. If I wouldn’t want to rip a book like that from the shelves and devour it, then I don’t write it. That is the litmus test. There is also the mapping out of the story. I create a Word file and hammer out whatever ideas on plot and character that come to me. I allow this to happen over weeks or months if need be. I add images plucked from the internet to make my world ‘real’ in my mind. Photos of actors or models who look like how I envision my characters. Photos of real towns, houses, mountains – anything which relates to where the characters live. What cars they drive. Their house. Their school. Anything that features in the story, and some that don’t. It helps make it real. When I know my characters, and feel as though I have been to their street and stayed over at their house, and hung out with them, I then concentrate on the plotting out of the tale. What do I like least? Writers block does rear its ugly head now and again! The internet is a distraction, albeit a great tool. I guess my pet hate is when I have a descriptive word I need to use in a sentence and just can’t wrench it from out of the ol’ gray matter. Especially words for specific objects. ‘What do you call that thing that catholic priests put incense in?’ That kind of thing. Maddening! But it is fun to track it down. It is like a treasure hunt. Every novel I write is planned out meticulously in notes. I begin making that document months before any actual story writing. It is kind of like a scaffolding of the story, complete with photo reference and other references. Sometimes it is chapter by chapter. I write directly from that guide, but still leave a lot of room for spontaneity. So, I always have a fairly detailed knowledge of where I’m going, but often I surprise even myself with things that my characters end up doing or saying! I usually like to have the ending all mapped out, so I then have something to write towards. But things can change. As you write the tale, you may come up with a better ending than you had. But so far, I have the climax of the book in my head well in advance. In some cases, I envision it before I decide on anything else. Blood Family is a different kind of vampire book. I wanted to write about vampires, keeping all the tried-and-tested cool elements intact – the vampire’s strength, blood-lust, etc – but adding new elements to the lore, especially to what vampires were, their origins. The theory of other dimensions have always fascinated me. What if, I thought, vampires were interdimensonal creatures that took over the bodies of humans, transforming them and making them into the fanged bloodsuckers we know and love? And what if one of those bloodsuckers then sired a child with a human? That half-vampire child would have quite a life, especially if he knew nothing of his true parentage. Daniel Dark starts off that way, a normal teenager. Then he finds out what he is, and everything changes. 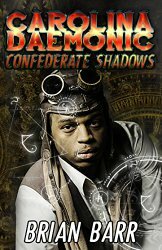 That sets him on a quest, and an extremely perilous one, to confront his vampire father and find his birth mother, utilizing his emerging vampire powers along the way. I have always loved vampire stories; one of the first stories I ever read was a short story about a vampire. I knew I wanted to write a tale about a normal teen who found out that he was different, that something amazing and terrifying lurked within him, that only emerges after a key event. That way, the reader can relate with the main character from the get-go, and then discover his or her emerging powers as the character does. I travelled to Mexico in the mid 2000s and was inspired by its beauty and the way it different from the US and the UK. I explored the Mayan ruins of the Yucatan and heard many stories about witches, ghosts, and other supernatural beings who the locals swear are real and not imaginary. On my second trip there, I visited some caves, where local witches had left black candles, having used the cave as way of connecting to the ‘otherworld’. 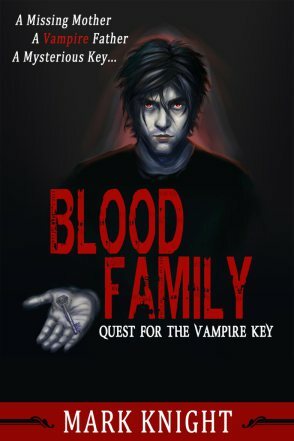 I had already hatched the idea for Blood Family by this time, and wanted my main character, seventeen-year-old Daniel Dark, to go on a journey that would reveal secrets about himself and his vampire origins. I love tales that take you to other countries. You travel to intriguing places, seeing them with the eyes of the characters. I knew Chiapas had supernatural depths to its culture, and felt compelled to incorporate those aspects into Blood Family. After Daniel goes to Mexico he travels to Devon in England. Although I reside in the UK I had only been to Devon once, and so made a special trip to basically walk in Daniel’s footsteps. I stayed in a creepy old Inn and explored the windswept plains of Dartmoor. After those few days, I had plenty of notes for those sections of the story, and a lot of new inspiration! I have had quite a few paranormal experiences myself in my life. UFO sightings, ghostly presences, weird voices. And I am pretty skeptical – most of the time you can explain stuff away, but there are times when you just can’t. When I was researching Blood Family, I stayed at a 14th century inn located in Devon, which was the basis for the Old Rectory Inn which Daniel stays in. At night, while trying to sleep, I could feel someone close to my bed, moving about. I turned on the light and – no one there. Later I found out that not only was the Inn reputed to be haunted, but my room was the haunted one. If I weren’t so into this subject, I might have freaked. But really I just become intrigued and want to know more! Find out more about Mark on his website or his blog. You can also follow Mark on Facebook and Twitter. You can buy Blood Family on Amazon and Amazon UK.